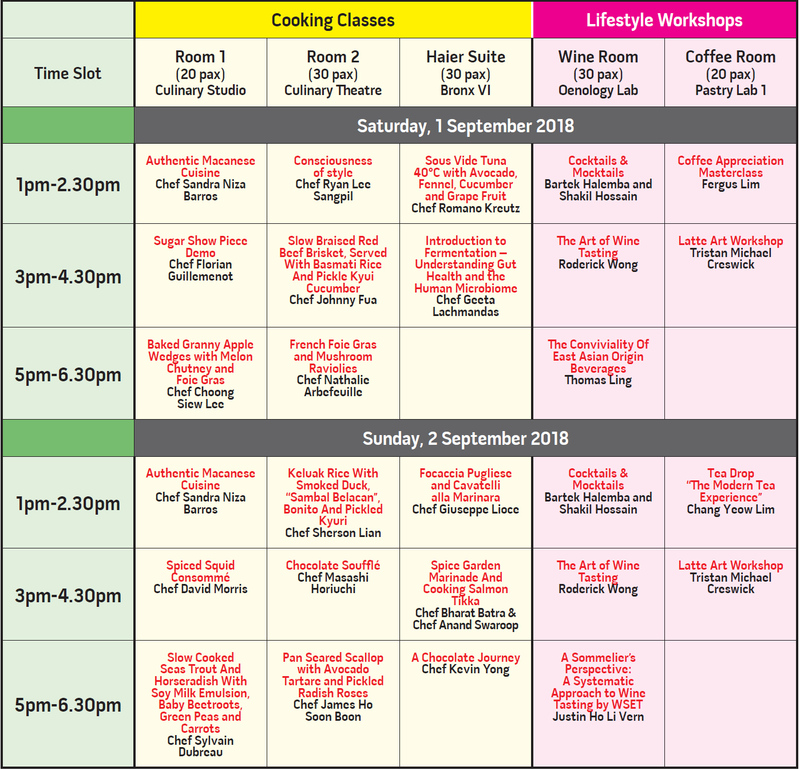 Running in tandem with the Cooking Classes at Taste MIGF were a wide variety of Lifestyle Workshops run by industry experts. Some of the most popular included wine classes, the latte art workshop, mixology classes and a host of food recipes. In wine workshops, visitors were guided on how to use their senses during tastings, and what to look out for when sniffing and tasting wines. Among the chefs that led workshops this year were Chef Johnny Fua, Chef Nathalie Arbefeuille, Chef Ryan Lee Sangpil and Macanese export Chef Sandra Niza Barros. Le Cordon Bleu also had a stong presence as always with no less than three of their top instructors teaching classes.